Note: The Tabata Interval is 20 seconds of work, followed by 10 seconds rest, completed 8 times. Athletes can choose their start station, but must honor the prescribed order of rotation. In todays workout, “every repetition counts”, meaning to keep a running total for each station. Adriana “Adrea” is Athlete Of The Week! Congratulations and “Osssssss” to Adriana who was recognized as Athlete Of The Week at CrossFit Amundson. Adriana is an incredibly gifted Athlete, with a solid background in strength and conditioning. She immediately excelled in the CrossFit workouts, and gravitated towards our CAMP program due to her passion for Brazilian Jiu Jitsu. 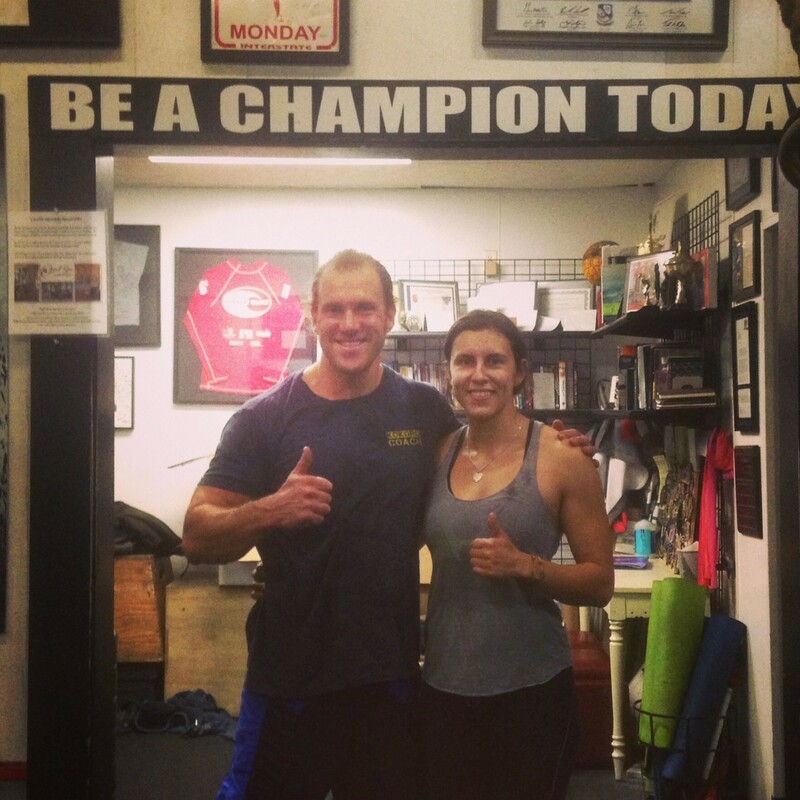 Adriana has a keen sense of technique and body control, and displays virtuosity both inside the gym and on the mat. She is also encouraging, supportive and kind to her fellow Athletes and competitors, and is respected for her composure. Adriana was recently awarded her Brazilian Jiu Jitsu Blue Belt from Claudio Franca, which is a huge and well deserved accomplishment. Congratulations Adriana on all your success! Note: Please bring a towel or personal yoga mat to Krav Maga!